Olaplex is a big name in the haircare world at the moment. I heard of it a few months ago when my colleague (who has a friend in the hair business) started raving about it and saying how much of a game-changer it was. And when Caroline Hirons mentioned the difference it had made to her hair in a vlog I knew I had to try the at-home treatment. The treatment is especially beneficial for chemically coloured hair and can restore the health of damaged hair types - it repairs broken hair bonds which are damaged during thermal, mechanical and chemical services. So it's not just a treatment for coloured hair- if you use any kind of heat on your hair it can be used. There are three steps to Olaplex. Steps 1 and 2 are used in the salon as a treatment and then step 3 is a hair protector which you use at home once a week to boost the strength of the hair. I haven't actually had the treatment in a salon so have only used the at home treatment. To use this treatment, you apply a generous amount to towel-dried hair, comb through and leave on for a minimum of 10 minutes (I usually leave it for half an hour) and then rinse, shampoo and condition. You can use it more than once a week if you wish. So what are my thoughts? Well, I can't review the whole treatment but the at home one seems to be working a treat. The best part is rinsing it out of your hair because your hair feels like it's made out of silk and it's pretty incredible! I wouldn't say the look of my hair has drastically changed but it feels stronger and I feel like it's doing my hair good. I imagine it's even more effective if you use it conjuction with the in-salon treatments. 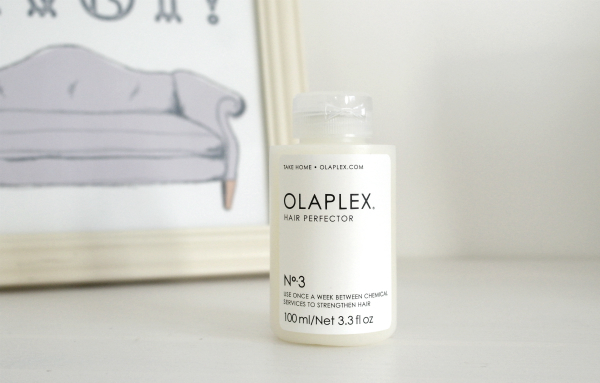 You can buy Olaplex No 3 from Amazon here. Have you tried this treatment? 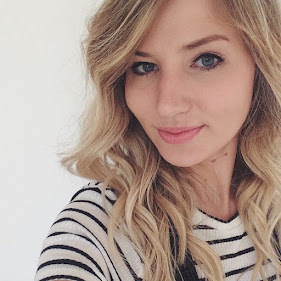 Caroline Hirons is a goddess when it comes to any kind of care for your skin or hair, I adore her blog. Great post, I'm always looking for products to make my hair stronger and thicker, and just keep it in good condition. Losing my hair is one of my greatest fears and so far I've found using sulphate-free shampoos have definitely made a difference. I reviewed the Yes To range on my blog if you're interested. Hey! Welcome to my little corner of the internet. I'm Daisy, 31 years old and I live in Lincoln with my husband and baby girl. I love to write about beauty, babies and lifestyle - enjoy!